Volvo’s are know for their durability, safety, and ability to last forever. If you did not know already, Volvo’s are designed and built for safety and to practically last forever. 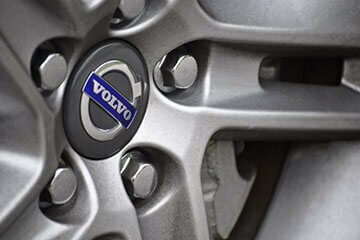 At German Car Specialists in Calgary, AB, we are experts when it comes to Volvo repair and maintenance. Our goal is to perform complete Volvo repair and maintenance service your specific model needs, accurately and efficient so you have the safest and most dependable mode of transportation possible. Our commitment to the constant training of our technicians, tied in with the latest in diagnostic equipment and software allows us to be on the forefront of all the latest technology available on the market today. We only use parts and techniques that meet or exceed manufacturer standards. Our Volvo repair specialists are truly the best around. German Car Specialists is proud to provide Calgary, AB with the most dependable Volvo repair in the area. We have worked had with the community to be well known and reliable and our reward is the people we have been able to help. Your Volvo is a sophisticated driving machine. You just cannot trust your vehicle to just any mechanic. 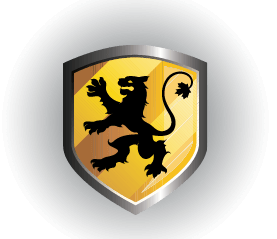 Volvo is know and loved for their safety and reliability, the rigorous standards the manufacturer follows and adheres to encompass their true value. Your vehicle deserves the experience and proficiency of professional Volvo repair technician who knows your car bumper to bumper. Our promise is to supply you with premium customer service, repair, and maintenance that you local dealership simply cannot. Using state of the art diagnostic technology and equipment we can diagnose and trouble shoot any problem quickly and with precision. This allows us to expedite service and get you safely back on the road faster and with less downtime. Our mission is to keep you driving safely and enjoying all that Volvo has to offer; while retaining its value. Our Volvo repair specialists are dedicated to providing the most dependable repairs at a reasonable price. Let us take the hassle out of maintenance and repair for you. Keeping your Volvo running strong, safe, and reliable for well over 300,000 kilometers isn’t unbelievable or even unlikely. Their slogan is not “For Life” for no reason. While this may be true this won’t happen without regular maintenance and timely repair. German Car Specialists is equipped to perform any and all required Volvo maintenance on your vehicle to satisfy the factory warranty. What that means is you don’t have to go to the dealership to retain your original factory warranty. Additionally, we will suggest and recommended services regarding the severe Calgary weather including high altitude driving conditions. Your Volvo is a great investment and if properly maintained it will give you many years of dependable driving excellence. Call or schedule service online and see why your car needs German Car Specialists.